The 2nd Company Governor's Horse Guard Recruit graduation was an impressive ceremony culminating in five months of training taking place each weekend from February 2011 to June 2011. 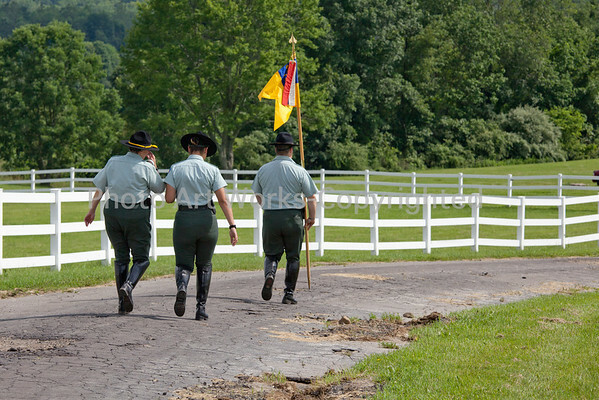 The training included military drill and ceremony, mounted and dismounted drill, and equine studies. Members of the 2nd Co. Foot Guard provided martial field music, and a volley of firing muskets by the Second CT Heavy Artillery followed receiving graduation certificates and cavalry spurs. State Representative's DebraLee Hovey, R-Monroe, and Chris Liddy, D-Newtown joined with past commandants and other distinguished guests in honor of the new troopers.